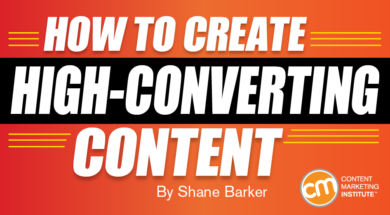 Shane Barker is a digital marketing consultant who specializes in influencer marketing, product launches, sales funnels, targeted traffic, and website conversions. He has consulted with Fortune 500 companies, influencers with digital products, and a number of A-List celebrities. 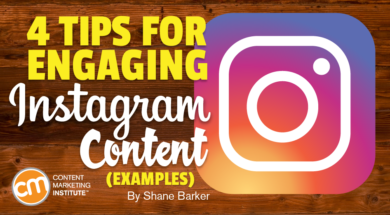 Connect with him on Facebook, LinkedIn, Pinterest, Instagram, Google+, and on Twitter @shane_barker. Almost 80% of brands say they dedicated budget this year to influencer marketing, according to Relatable’s 2019 State of Influencer Marketing Report. By 2020, an estimated $8 billion is expected to be spent on Instagram influencer marketing alone. While these statistics clearly show the growth in influencer marketing, they do not tell us whether it’s being done well. 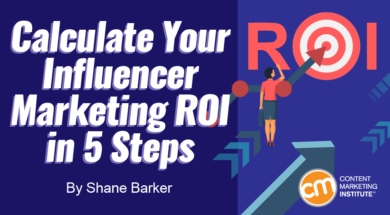 To determine the success of your influencer program, you need to track campaign performance and make sure the return is adequate for the investment. This step-by-step plan enables you to track your influencer campaign ROI. Read on and get ready to launch your next influencer program. When your goal is to generate leads, you need to incorporate that objective into an effective content marketing strategy. 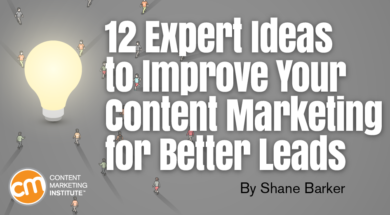 To help, I’ve put together this expert roundup on the most effective content marketing practices to help you identify potential customers and nurture your relationships with them. 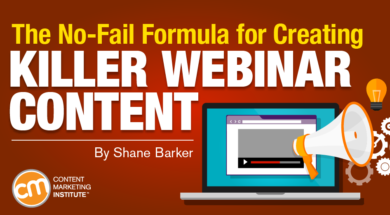 Webinars are an important yet underrated content marketing tactic. They provide you the opportunity to create a more interactive content format for your audience. They also are one of the top five types of content that can naturally attract links to your site. But, as of now, it seems not enough B2B or B2C companies excel in webinar creation (or they don’t host them). I compiled this list of the tips and tools that will help even novice marketers create highly effective webinar content. As a content marketer, your job is to use content to sell something – whether it’s a product, service, or message. Maybe you’re already driving sufficient conversions. But do you really want to settle for sufficient?